went the other week with my brother inlaw and his two sons. 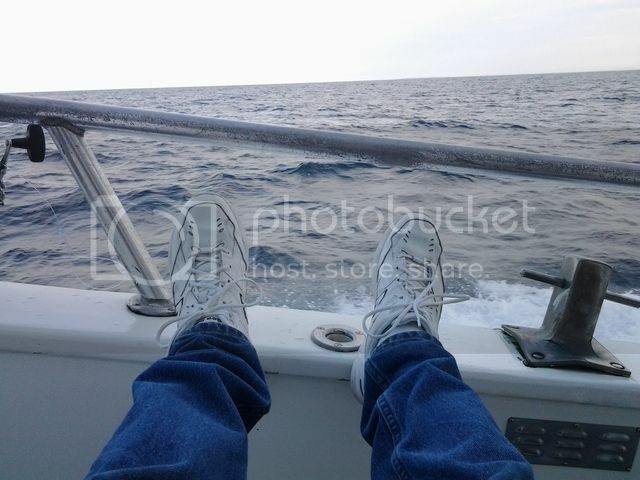 a gulf stream charter on wednesday, the pier thursday , a head boat friday and some sound side bank fishing saturday. can't tell you the last time i actually took off for a vacation. next year's plans are already in the making. Excellent! A great day fishing! Couple nice dolphin fish, ya got there. I wouldn't throw the red snapper back either. I do not believe that the Democrats are single-handedly destroying this country. I know that they, like the Republicans, are using both hands! Challenge GBob01 in the Arcade! Great fishing. Your gonna have some fine eats. 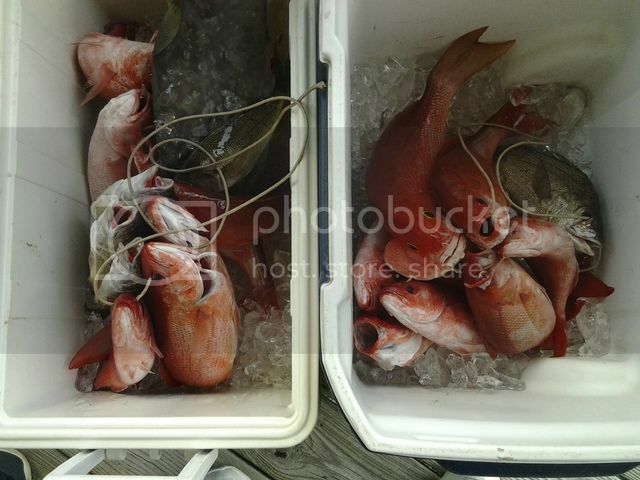 "Vermilion Snapper" the one Red caught I had to release. I did get a Silk Snapper though. F'n Dolphin are like dragging in a tire in a rip tide. Some of my favorite fish! I'm trying to figure out a way to wrangle myself down to visit my daughter and son-in-law in Florida so I can get some fishing in, too. All snappers are great eating. You guy did good. 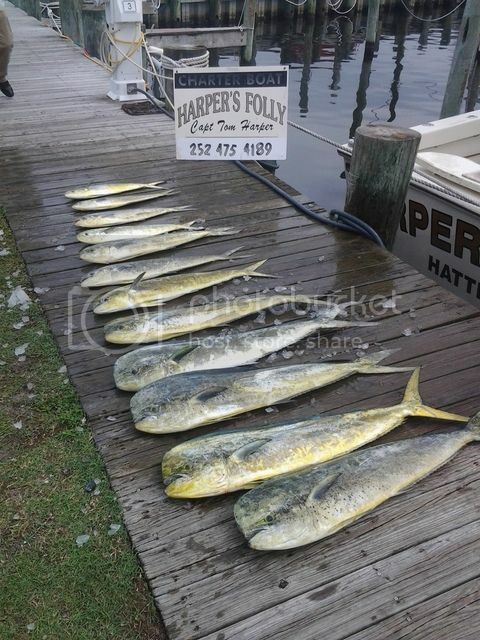 we brought in 135 pounds of Mahi on the hoof. figuring half that filleted at 62 pounds and at market value (15.00 per pound) we paid for all but 200.00 for the boat. the quality time with my nephews was priceless. i miss the salt so bad i think i could live in a refrigerator box if it was on the coast. i miss the salt so bad i think i could live in a refrigerator box if it was on the coast. But I also really love the Northwoods. I'd like to live in both places. Mr. Pogo the kid nextdoor in his small boat just nailed a 7 lb. bass. My boat is finally running since I got rid of that crap corn gas. You come back down and the gear and boat is ready for you and your crew. I still feel bad the damn thing conked out last visit.